There are a number of benefits of kids playing sports. Athletics are an important part of child development, and participation in sports has a lasting positive impact on kids. There are lots of great reasons to get your kids involved in sports, and all kids can benefit from participation in athletics. The effects of childhood participation in sports go far beyond the physical, and can impact a child mentally, emotionally and socially. Kids who participate in sports learn early to have better control of their bodies. This positively affects important motor functions like coordination, fine and gross motor skills, and balance. Kids who develop these skills also develop the neural pathways to support them, and the positive effects can last a lifetime. Participation in sports helps to strengthen muscles which leads to an overall increase in strength and stamina. Additionally, sports typically involve different types of movement including both sudden moves and slow, steady movement. According to experts at Charles Hurt University, athletes often do specific exercise to develop fast twitch and slow twitch muscles which encourage the development of the two types of muscle tissues. Sports can help kids to develop and strengthen both types of muscles. Exercise is an essential part of maintaining a healthy body composition. 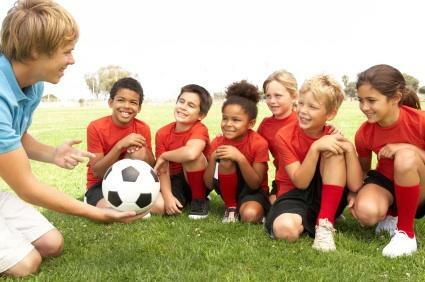 KidsHealth points out that children who regularly participate in sports tend to be leaner than those who are more sedentary. A healthy body composition can also help kids ward off diseases like Type 2 diabetes and metabolic syndrome. The more active you are, the healthier your heart and lungs tend to be. Early participation in sports can set kids on a lifetime path of habits that contribute to cardiorespiratory fitness and health. Negative body image is especially prevalent in girls who are approaching their teen years. WebMD notes that kids, especially girls, who play sports tend to have a healthier body image than their more sedentary peers. The sense of accomplishment that comes with athletic competition also leads to a healthier sense of self-esteem. Kids who participate in sports can leave their stress and aggression on the playing field. This can result in decreased incidence of depression, reduction of stress and elevated moods. Regular participation in athletics can help to build young minds by requiring creative and strategic thinking, as well as increased focus and attention. Not only that, but most sports involve some kind of scoring, which can help kids to sharpen their mental math abilities. All of these skills translate not only to the classroom, but to the skills necessary in the workforce later in life. Even without all of the other benefits of sports, the social benefits alone are reason enough to encourage your kids to participate in athletics. Kids realize a number of social benefits from participation in sports. In life, you win some and you lose some. Nothing brings this lesson home in early life better than participation in sports. Kids quickly learn that both winning and losing are part of life, and they learn how to handle it graciously and develop strategies for coping with both. Kids who participate in sports are less likely to use drugs and alcohol, which could impair their performance. Girls who participate in sports are also less likely to become teen mothers for the same reasons. Athletic participation builds strong leaders. The leadership skills gained in sports can help kids to excel in school, life and in the workplace. These are just a few of the many benefits that kids realize from participating in sports. Athletic participation can play an important role in your child's development.